One half standard kitchen measuring cup (119 ml) will deliver 85 grams of product. *Farrier's Formula® Double Strength does not contain added sugar or molasses. The daily intake of starches, carbohydrates (WSC and NFC), and sugars from Farrier's Formula®Double Strength is very low, and is insignificant relative to the starch, sugar and carbohydrate intake in the total diet. **Farrier's Formula®Double Strength does not contain added potassium; however potassium is contained in minor concentrations with some of the ingredients such as alfalfa. Considering the small amount of product, the total level of potassium intake from Farrier's Formula® Double Strength relative to the intake in the total diet is not significant. Available in 11 lb nitrogen flushed vacuum bags and 11 lb nitrogen flushed buckets. The 11 lb package delivers a 60 day supply for a 1,000 lb. horse at the Adult Replenishment Feeding Level. 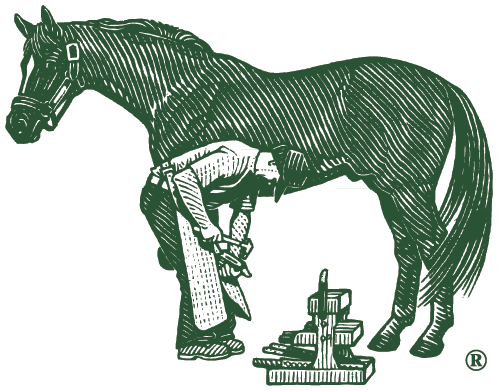 Farrier's Formula® Double Strength does not contain added cobalt.